I have installed WAMP on Windows 7 64-bit. When I try to start it, it says port 80 is used by "Server: Microsoft HTTPAPI/2.0". I have checked and IIS is not installed. What should I do? I've solved this today!!! You go to "Control Panel" >> "System And Security" >> "Administrative Tools" >> "Component Services" >> "Services (LOCAL)"
Now, since you are using WAMP and not IIS you should disable the "World Wide Web Publishing Service" and the "Web Deployment Agent Service". You are good to go. 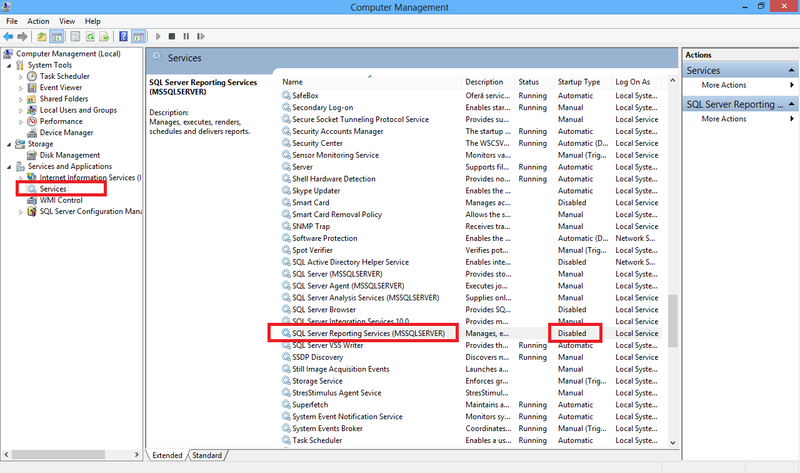 And disable the IIS service if installed. I have successfully rooted out the problem in windows 8. I hope this will be helpful to others 1) Go to control panel -Turn window features on or off - uncheck: internet information service IIS and internet information service hostable web core. 2) Control panel + system and security + Administrative + services (Disable all SQL Servers). 3) This one no one so far mention it: -control panel + system and security + Administrative tools + system configuration + services (uncheck Web Deployment Agent Services). I had this issue as well. 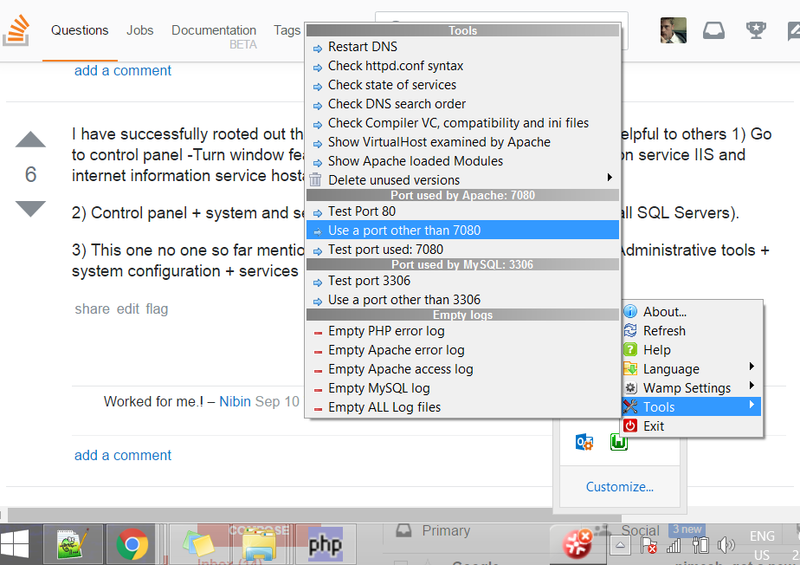 After testing port 80 in the apache folder, it said that port 80 was being used by HTTPAPI/2.0. I disabled web deployment agent service(MsDepSvc) then clicked start on wampapache and it started working. The Apache service wouldn't start because TCP/IP port 80 was in use. The error was, Port 80 is used by "Server : Microsoft HTTPAPI/2.0". The obvious thing was to disable the IIS web server, which can also use port 80. But this didn't solve the problem. It turns out there are a long list of other services that can also use Port 80: These include the following services. Recently found another service that steals port 80 - a recent update of Razer Synapse installed the "Razer Chrome SDK Server" service which takes it. Disabling this freed the port for me. Your WAMP does not start because port 80 is being use by another program (Microsoft-HTTP API). where x is your desired new port. Now WAMP should start ok and you could access localhost with http://localhost:x where x is your desired new port. Also you should allow access to that port in your default browser too. You can find out how to do this for Firefox 3 by reading this article: Unblock a nonstandard port in Firefox3. On my Windows 10, netstat said PID 4 was listening at port 80 and the solution was to stop BranchCache service. This was already mentioned in a comment by Adrian Adkison, but I add it in a comment for better visibility. If you have Visual Studio the Web Deployment Service also takes Port 80 by default. 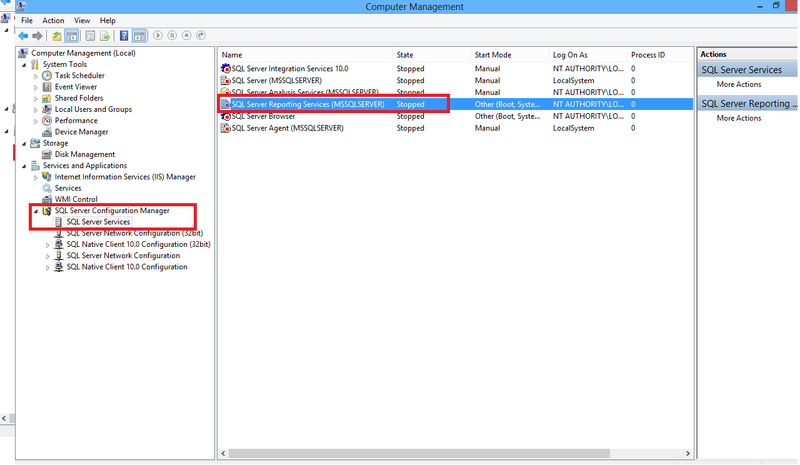 a) Stop the Web deployment Agent services and then right click on the service then click on the Properties and make it startup type Manual. b) In the same way Stop the World Wide Web Publishing Services and mark it stratup type Manual. 2) If IIS is already installed in your System..
3) If Skype is installed and is in running state then also quit the skpye..
Hope the above steps will help you in starting WAMP server.. I had the same problem caused by Skype. Go to File -> Options... -> Connection and uncheck the one called "Use port 80 as an alternative for..."
BTW, this type of problem ties to similar posts concerning: port 80 in use by NT Kernel & System. For me, the problem was tied to Visual Studio 2012. I am running a test controller on my machine which communicates with test agents on remoted machines. The name of the service runing on my windows 7 x64 laptop is "Visual Studio Test Controller". Once I shut this service down, I was able to run anything I wanted on port 80 (apache in my case). The post by John above got me on the correct path to figure this out. Go to control panel->system and security->administrative tool->services and stop the services like sql, webdeployment and mics etc. Go to your browser and write [//localhost] or simply localhost a page will be shown. Create a directory in wamp/www/yourDirectory(i.e test). Put in this your php file with the name index.php. Now go to browser and type http://localhost/yourDirectory(i.e test)/. A bunch of upvotes here for each answer identifying the culprit in an individual situation. But it would be good if there was an answer here with a list of the possible culprits to work through. Sitepoint has a good post listing, identifying and resolving this problem for a range of possible port-80-using-services. Check the Sitepoint post for full details. A) Start your WAMP befor you login to skype. So that WAMP will take over the the port and there will be no conflict with the port number. And you are able to use Skype as well as WAMP. But this is not the permanent solution for your problem. Whenever you want to start WAMP you need to signout Skype first and than only you are able to start WAMP. Which is really i don’t like. Unchecked “Use port 80 and 443 as alternatives for incoming connections” checkbox and click save. Now every time you start WAMP will not conflict with skype. Not the answer you're looking for? Browse other questions tagged wampserver port80 or ask your own question.